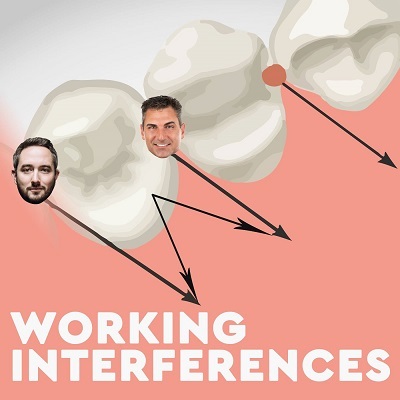 Time for your Working Interference fix! Josh starts by sharing with Lance his experience lecturing to children, despite not being allowed within 200 feet of schools or Chuck E. Cheese. Question 1 asks about employees hand washing, and whether temporary crowns taste funny after trips to Dook University. The second question is about tooth meridians and if Josh’s spleen will rupture since tooth number 1 was removed. And finally, the Reddit! question is about the unique shape of a wisodom tooth. What IS a mulberry? And is it a RACIST question?